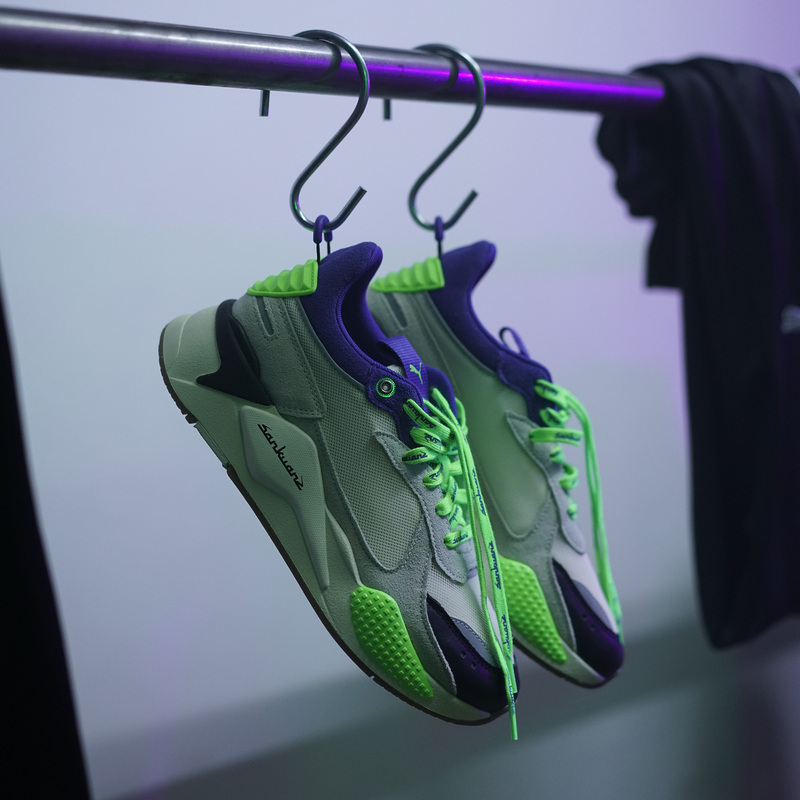 PUMA was very active over at Paris Fashion Week’s first outing this year, dropping news of two new collaborations with designer brands. 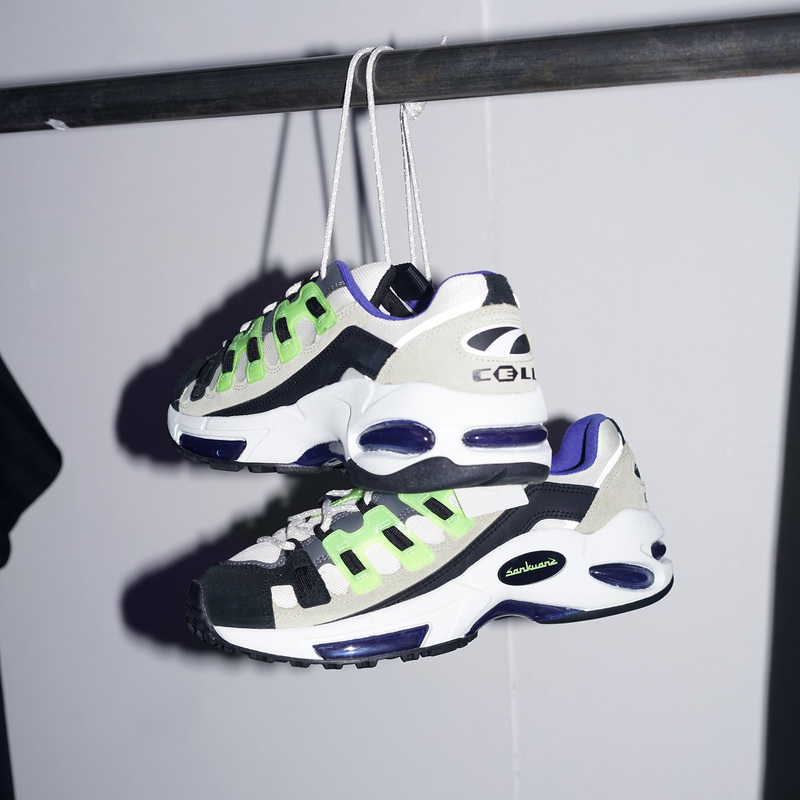 Teaming up with Chinese streetwear label Sankuanz, PUMA has allowed them to put their spin on the Cell Endura, RS-X and Cali models. This latest collaboration is a direct reflection of what the brand manages to bring through with its own line. The Cell Endura retains its classic, streamlined shape, with a focus on the changeup of materials from Sankuanz. The traditional leather and mesh have been replaced with a combination of premium suede, leather and patent leather to convert them from sportswear products to high-fashion items. The signature green cell unit has also been switched out for a deep blue that matches the sockliner. PUMA’s RS-X debuted last year with a welcome response, and this newest rendition from Sankuanz POV takes it another direction again. Stripping things back, the normally present Formstripe has been removed in place of a cream coloured soft mesh underlay which runs through to the toebox. The same colour and material palette from the Cell Endura runs through into the RS-X, with lime green hits arriving on the midsole bumper and heel counter. The PUMA x Sankuanz collection will be available via the size? previews App and in selected size? stores on Saturday 2nd February.